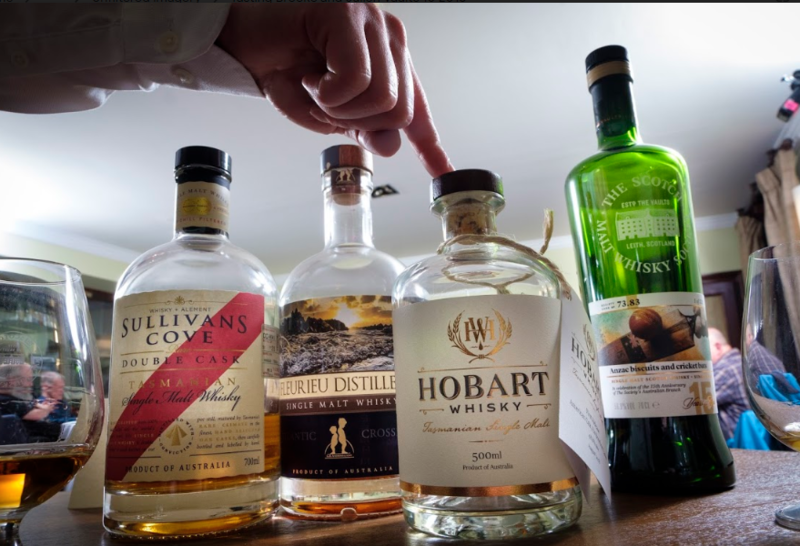 It wasn’t only Brooke Hayman who benefited from winning the Australian Malt Whisky Tasting Championship (The Whisky Champs) last year – the country’s biggest and most prestigious blind-tasting competition. 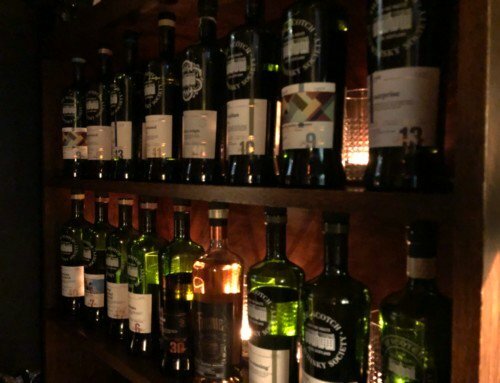 As well as being crowned Malt Whisky Tasting Champion of Australia, the co-owner of SMWS partner bar Whisky + Alement in Melbourne also scooped the Society’s prize of a trip for two to Edinburgh, to attend a private tasting at The Vaults. 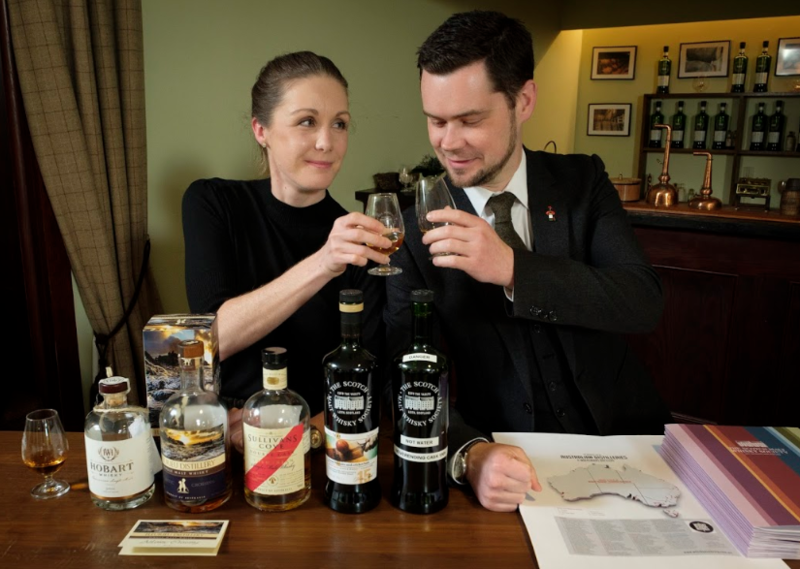 Brooke and her partner Julian White paid a visit to Scotland in October, but instead of turning up simply to take part in a tasting, they kindly offered to host their own. 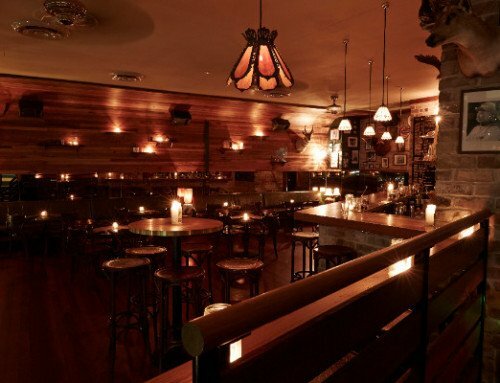 With that in mind, they brought a selection of Australian whiskies and all their knowledge about the country’s vibrant distilling scene to an enraptured crowd of Society members in the Cask Room at The Vaults. The ‘cream of the crop’ in this case included three drams, which Julian introduced with an overview of Australia’s dynamic distilling scene. 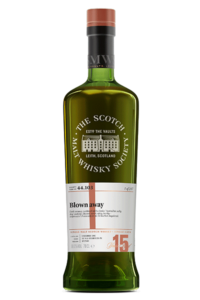 “It only about eight years since Brooke and I first visited Tasmania,” Julian told the SMWS members at the tasting. “In that short period ‘the Apple Isle’, as it’s known, has gone from having only seven whisky distilleries to over 30, with more in the pipeline. 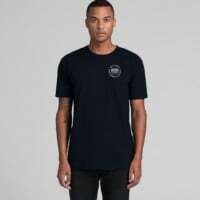 “We were both drawn to visit after watching a cooking show on television by a food critic who had relocated to the island. This particular episode featured the Lark whisky distillery, so we booked our own trip to Tasmania to find out more. 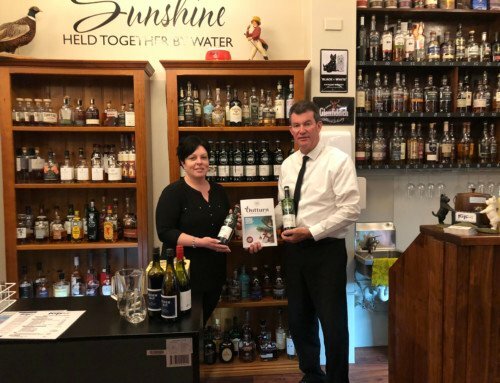 Julian and Brooke have been back to Tasmania every year as the distilling scene has developed, and in 2018 even brought a team of 10 from their bar Whisky + Alement to meet distillers face-to-face. One common feature in Australia that does look to finally be on the wane is the industry’s reliance on maturation in 20-litre ex-fortified wine casks. 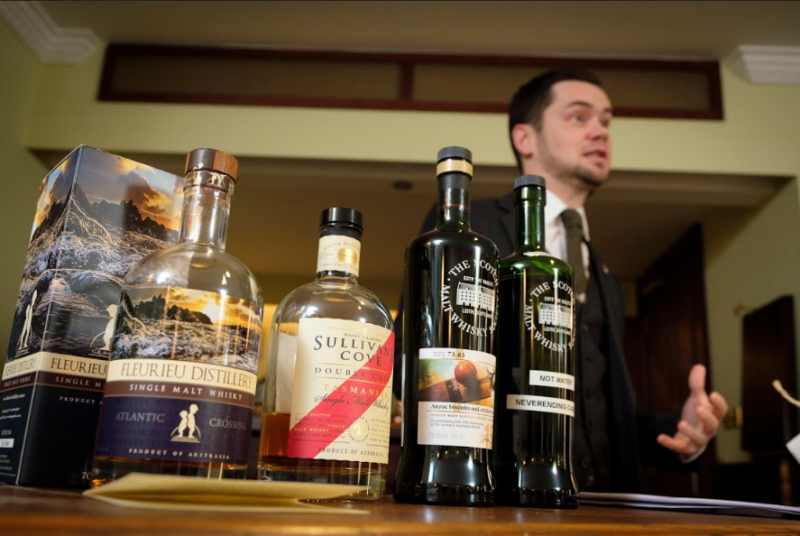 Julian also explained some of the key differences between what qualifies as whisky in Australia compared with Scotland – with a less strict environment allowing distillers to do things that wouldn’t be permitted over here. Julian also explained that until relatively recently there was some confusion in describing casks used for Australian-made fortified wines. ‘Port’ could previously cover a wide range of different styles of fortified wines, for example, while sherry had been used for wines that had only been somewhat inspired by the region of Jerez in Spain. “Definitions were so loose it’s almost embarrassing to report, so new rules were introduced in 2009,” said Julian. “Now sherry must be called ‘apera’ and what was previously referred to as port must now be called ‘tawny’. 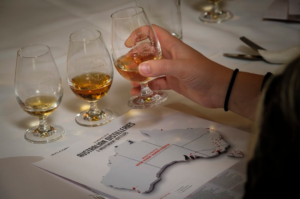 Julian explained that the aim for the tasting with his and Brooke’s selection was to be forward thinking with regard to the Australian whisky scene, rather than illustrating where it had come from. 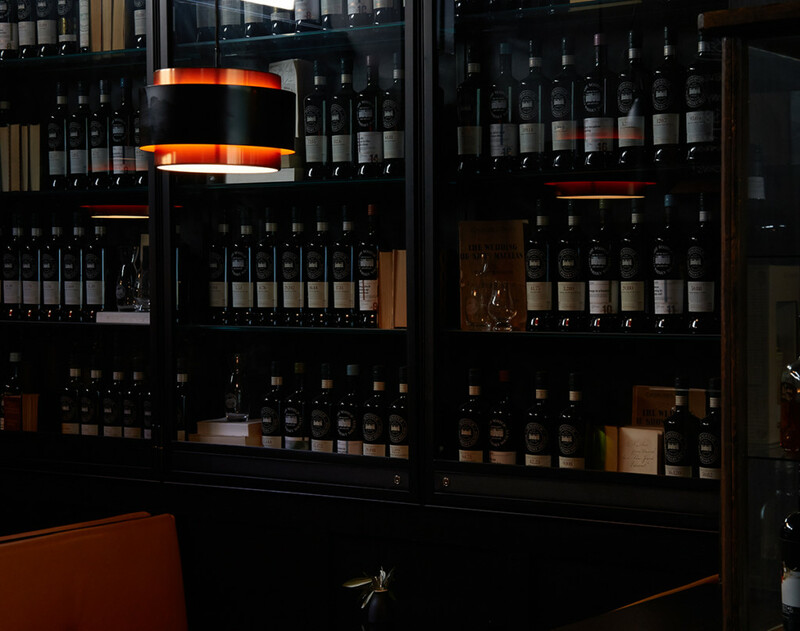 At Whisky + Alement, they put around 10 new bottles on their bar every week – so it’s a journey of constant discovery thanks to the rate of progression and innovation. 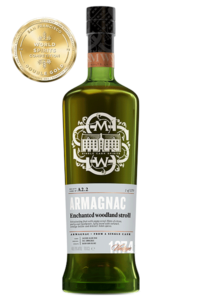 The first release from this distillery whose output is just 10,000 litres per year. Unusual by Australian standards because it hasn’t used fortified wine or wine casks. It’s a vatting of five 40-litre ex-bourbon casks, small casks that are also traditional in Australia. Julian worked with Sullivan’s Cove to create this whisky exclusively for Whisky + Alement. 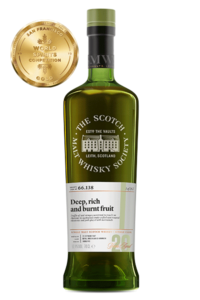 The whisky is 80 per cent 18-year-old ex-bourbon and 20 per cent 9-year-old ex-tawny French oak casks. “We developed this to demonstrate to the public that a blend – a multiple cask whisky – can be greater than the sum of its parts,” said Julian. The experiment’s success was borne out by the Society members voting it their favourite dram of the evening. A very small distillery which opened in 2013 with capacity of only 6,500 litres per year, run by Gareth and Angela Andrews. Members clearly relished the opportunity to sample the three distinct drams and dip their toes into a very different world of malt whisky. This article originally featured in our Feb issue of Unfiltered Magazine; a publication for members of the SMWS worldwide. Special thanks to Kai Ivalo, Brooke Hayman, Julian White, James Quaile, Gregor Forbes, and Richard Goslan for their help.  To join the SMWS and reap all the benefits of a global whisky club, click here. 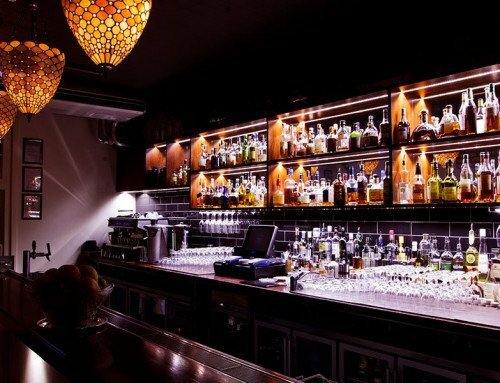 Whisky + Alement is the Society’s first partner bar in Australia, and a must-visit destination for whisky enthusiasts in Melbourne. 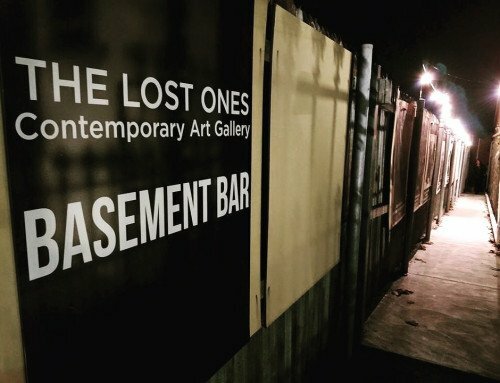 If you’re lucky enough to get there, check out the the Whisky + Alement Never Ending Cask.